Mechanical Analysis / Repair, Inc. is a ASME “R” Repair Stamp holder. 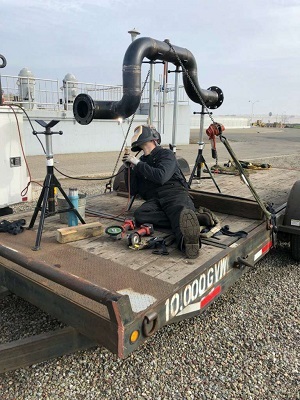 MarTech can provide ASME certified welders to complete most any type of repair required to meet your stringent requirements and production demands. 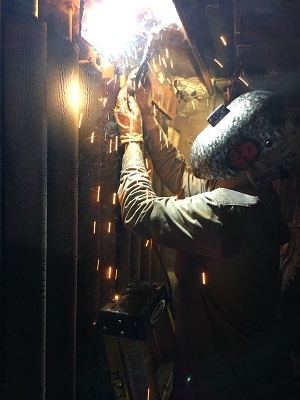 At MarTech our Code Welding Team prides itself in quick response times to our customers emergent ASME repair needs. We have multiple ASME Code welding service trucks that can be dispatched for emergency callouts when required. Help is just a phone call away! Typical types of project’s MarTech have completed range from emergent repairs to HRSG’s and water tube boilers to replacing nozzles & manways on ASME Sec. VIII Div. I vessels & tanks @ waste water facilities. MarTech specializing in HRSG & Boiler valve replacement. From Main-Steam stops, NRV’s to blowdown and drain valve replacement, in conjunction with our valve supply partners, MarTech can offer lower cost solutions with a variety of upgraded materials and designs to make your turn key valve replacement project not just a necessity but a life extending upgrade of your HRSG / Boiler! MarTech has a large range of ASME Group materials qualified, from Carbon Steel P-1 group to the high technical P-15E group! If there is a material that we don’t have currently qualified, no worries!! 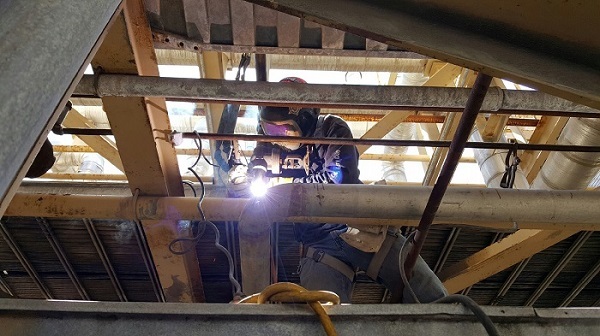 Our staff along with a testing facility partnership can qualify a welding procedure that will made all code requirements at get your repair done quickly and with the highest quality. We are your ASME repair turn key provider, from NDE, CWI to PWHT of material, MarTech and our partners can meet your project deadlines. We also can meet your AWS welding requirements too! Our Team also carry current AWS welding certifications meeting all AWS procedures. From D1.1, D1.6 to D1.4 Rebar, we have a qualification that will fit your structural & fabrication needs.